Canada is presently in the throes of a tightly contested federal election. It’s an important election. For many years now, our country has been ruled by a Conservative party that I would characterize as divisive, xenophobic and socially regressive. Godwin’s Law makes me hesitant to make the obvious Nazi allusions. 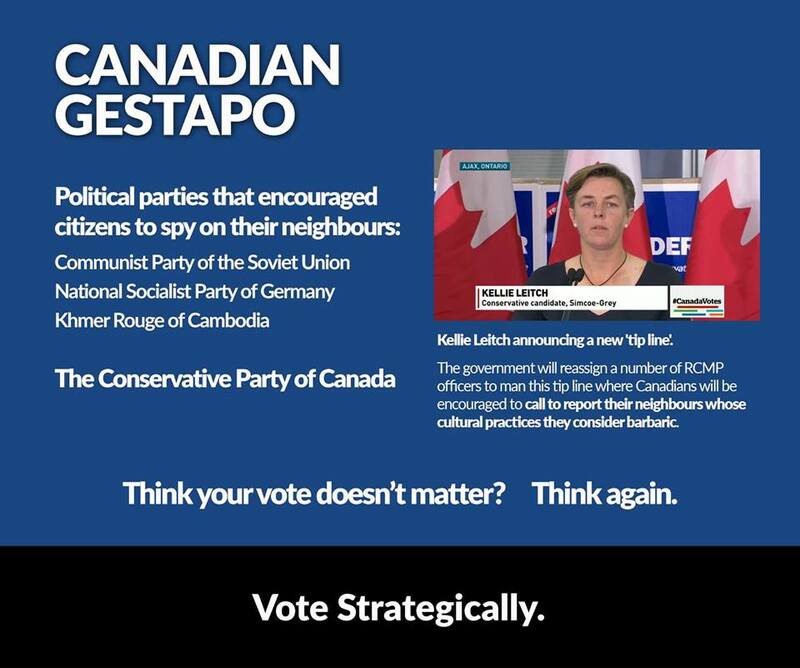 But today’s announcement by the ruling party, that they are setting up a hotline for Canadians to report their neighbours for “culturally barbaric practices”, is right out of the Goebbels playbook of fomenting hatred toward selected minority groups. I find it curious that this announcement comes hours before the French language debate. How do I put this delicately… issues of cultural homogeneity play well in French Canada, where the Conservatives are trying to wrest seats from the New Democratic Party (NDP), who tend to be more inclusive of differing cultural practices. While I descended into depression over this latest Conservative step toward fascism, and I feared that the country may follow them down that foul path, I was buoyed by, of all things, a Twitter campaign. Using the hashtag, #BarbaricCulturalPractices Twitter users posted brilliantly hilarious examples of how the hotline could and should be abused.